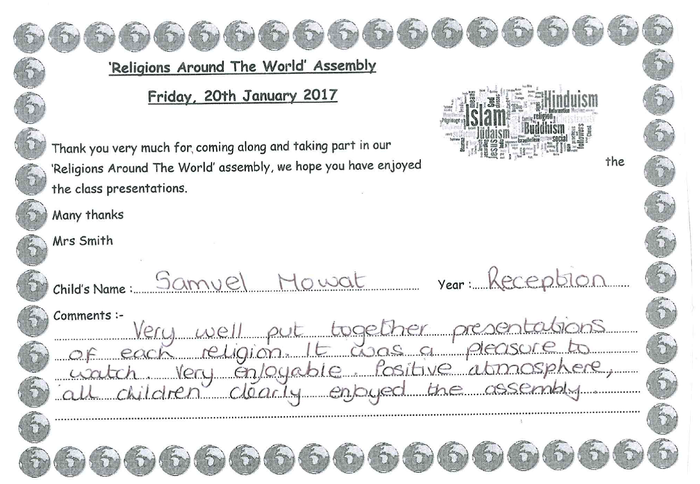 On Friday 20th January we held a special assembly to share the information each class had found out about a religion they had chosen to study. Each class researched a different religion and presented their findings to parents, carers and members of our local community. There was lots of singing and dancing as well as some super explanations.